Released on Friday 15th March 2019. 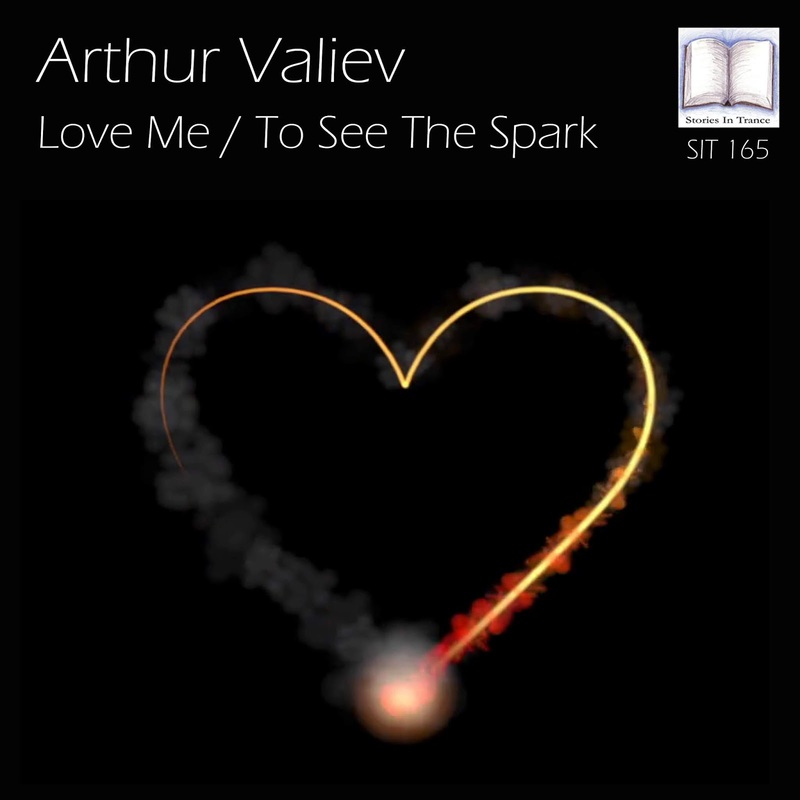 It is with great pleasure that Stories In Trance present SIT 165 by Arthur Valiev with the double A-sided single Love Me / To See The Spark. Leading the release is Love Me. Arthur Valiev who may be more familiar to you under his Vaali alias follows on from his last release Cold Ship / Go Home (SIT 161) using his Arthur Valiev moniker for the first time since Stavropol (SIT 152), and once again he is on great form with this fantastic production. Much like all Arthur's work this track shows off his immense production technique and wide range of abilities but this time he adds a vocal track to his repertoire. Arthur knows how to write beautiful melodies and here the fabulous lead is backed up expertly by superb atmosphere and perfectly complimented all the way through with great use of the vocals. The second half of the release is To See The Spark and much like Love Me this is a musical treat indeed; similar ingredients to Love Me and similarly great results. A beautiful feel, superb use of the vocals and fabulous production technique all add up to another sensational track. This is yet more special work by a truly fantastic producer and a great two track release to showcase what SIT is all about. After last month's old-school adventures the second Chapter of 2019 sees us return to the present with some of the best tracks and remixes that today has to offer. Featuring an exclusive first play of the new Arthur Valiev release here on SIT with the beautifully emotive Love Me, Matt Mancid's remix of the latest Soundwave outing also here on SIT, Jonas Hornblad & Cari, another stormer from Push, Daniel Preston & Swoopsy, Sou Kanai, a forgotten classic from Armin Van Buuren featuring Jan Vayne, Abide, another fine Soundwave remix, and some seminal work from Daniel Kandi in the shape of his masterful remix of Above & Beyond's On A Good Day finishing up. All that creamy trance goodness is just one click away...! Released on Friday 8th February 2019. 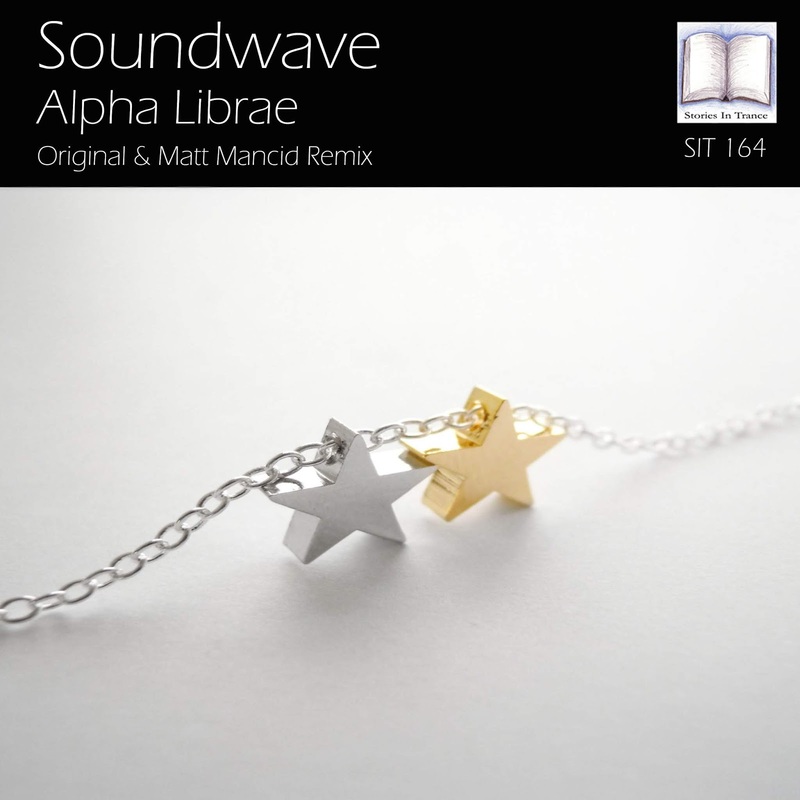 Stories In Trance return with our first release of 2019 from Soundwave with the two track single Alpha Librae, including the original and Matt Mancid remix. We start, as is proper, with the Original mix. Italian producer Adrian Iamandei follows on from his remix of Man En Trance's Sunrise (SIT 163) with another superlative original production. He expertly blends an intense euphoric feel with pure energy, superbly blending the lead melody with driving low-end punch via excellent production finesse. Another fantastic creation from Soundwave to add to a genuinely impressive discography, a producer held in the highest regard by SIT and with tracks like this it is easy to see why. The other half of this release is in the shape of the Matt Mancid remix. Mathias backs up his recent remix of Airborne Angel's Again with another stellar rework. He takes the track down a truly unique path, brilliantly infusing both of his uplifting and progressive styles. This remix is a real stand out track, perfectly blending two different styles with complete finesse. Once our resident mastering expert Dan Garton had given it a final polish the finished article shines as a great alternative to the original and adds to Matt's reputation as a phenomenal producer. 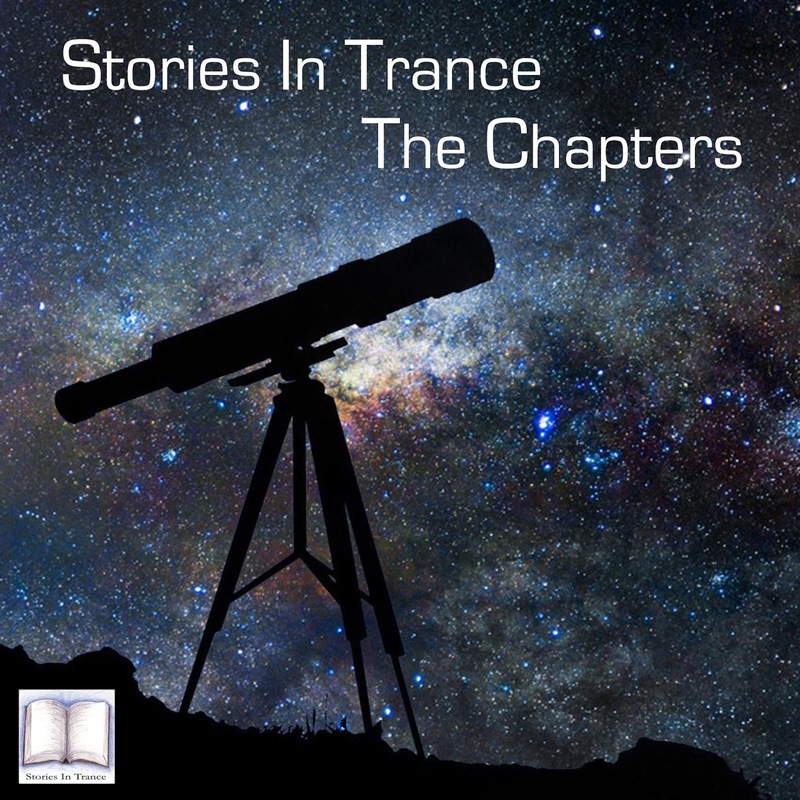 As promised, we return with The Chapters for 2019, and kick off another year of showcasing the best trance has to offer with a cultured selection of classics. And believe us when we say these are classics in that they are very, very good tracks, not just old ones! We feature Kamaya Painters, the instantly recognisable Mystery Land from Y-Traxx, Vimana's beautiful Dreamtime, a very rare and surely the best mix of Fragma's Toca Me, Tilt, Pulp Victim turned up all the way up to 11, A.I.D.A., the Signum remix of DJ Jurgen's Better Off Alone, Lange, Push upgrading The Space Brothers' Everywhere I Go, and the seldom heard but truly underrated Rank 1 remix of Tunnel Allstars for the finale. Released on Friday 28th December 2018. Stories In Trance is proud to present SIT 163 by Man En Trance with the two track single Sunrise, featuring the Original and Soundwave mixes. Leading the way is the Original mix. 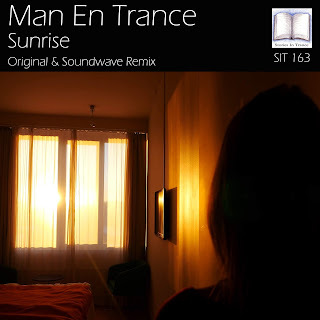 Man En Trance is a relative newcomer to the scene (with appearances to date on labels such as Cymatic Sound, Azure Recordings and Club G) and makes his debut here with us on SIT with the excellent Sunrise. Hailing from Poland, Man En Trance - AKA Marek Raczkowaski - shows off his evident talent with this superb track. Sunrise expertly blends euphoric and energetic trance, as rich melodic touches and atmospheric layering are complimented in fine style by potent low-end power and driving percussion. This is a sure fire hit with DJ's and fans alike. 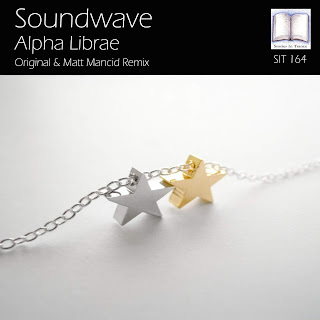 The other half of the release comes in the form of a sensational remix from Soundwave. Italian producer Adrian Iamandei follows on from his remix of I5land's Xanthokon (SIT 160) with this great rework. He masterfully blends the feel of the original mix with his own energetic style, superbly blending the lead melody with his own excellent production finesse. Another fantastic creation from Soundwave, a producer held in the highest regard by SIT and with the kind of discography he's creating it is easy to see why that is. I5land kicks us off with his excellent rethink of Airborne Angel's One Edge, a glorious return for Andy Blueman, Pierre Pienaar, pure trance perfection from Push, Solarstone, a first play for SIT 163 in the shape of Man En Trance, another belter from the superlative 2018 Push album 'Together We Rule The World', Breakfast, Marco V unleashed with an absolute banger, Daniel Kandi & Exolight, and two chargers from SIT's own Adrian Iamandei (the last track in the form of his SNDWV moniker) to close. After last month's Hard Trance Special Edition, normal service is resumed, with more of the best of now and a few forgotten gems thrown in for good measure. We kick off with one from the latest Vaali double A-side on SIT, Monoverse, a progressive masterpiece from Sunlight Project, Front, the brand new Matt Mancid rethink of Airborne Angel's Again, a classic from Tritonal featuring Soto, SIT stalwart Craig London, an absolute belter from Push taken from his new album, Armin Van Buuren on top form with his new one, and conclude with yet more fresh off the shelf euphoria as Heaven's Cry and Julie Thompson power us home.